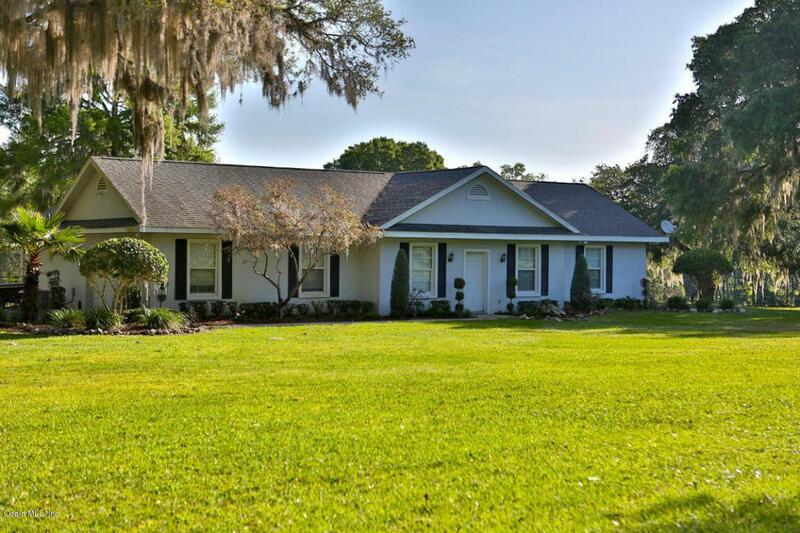 A fabulous opportunity to own 1,028 acres of beautiful rolling land graced with Granddaddy Oaks and ponds in NW Ocala. 4,000 LF of road frontage on Hwy 318. 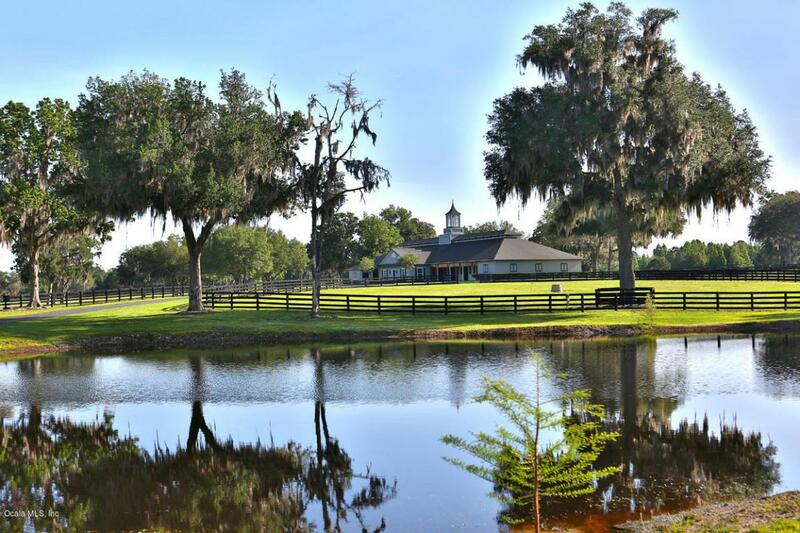 Property is currently being utilized as a Thoroughbred horse farm, but if you have the vision to make it a family compound, cattle farm, or personal Valhalla dreams do come true! 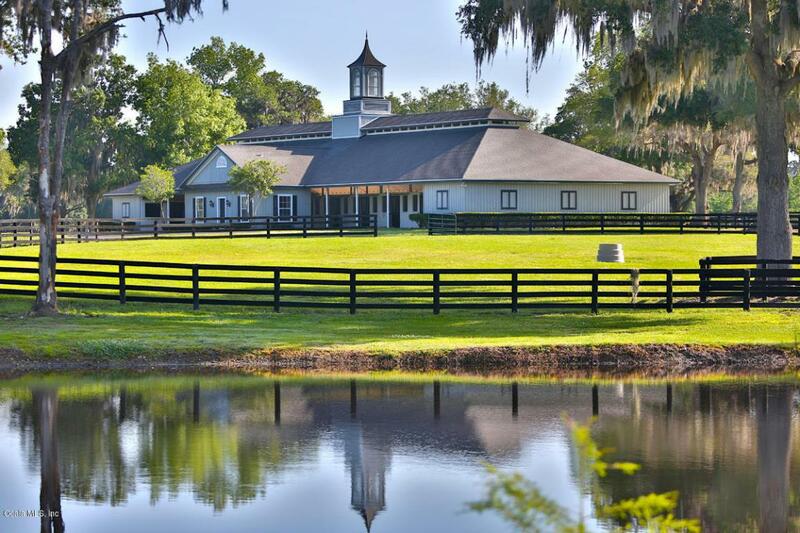 Main Barn with office, break room and half bath has lab and viewing room (4) foaling stalls plus 16 additional stalls. Five additional center aisle barns with 18-stalls each in 3 of the barns and 2 of the barns have 17 stalls each plus office/break room and half bath. 2,280 SF Barn hay/storage barn. 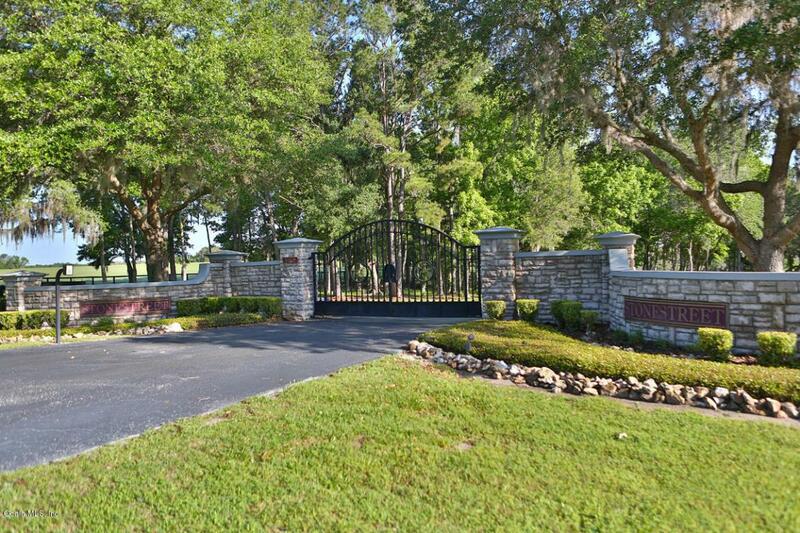 Approximately 22 miles of fencing which is a mixture of 4-board, board and diamond wire fencing with full round posts.Manager's residence on the property. Beautiful building sites to build your dream home and revel in the tranquility of such vast acreage. Listing provided courtesy of Joan Pletcher of Joan Pletcher. © 2019 Ocala/Marion County MLS. All rights reserved. IDX information is provided exclusively for consumers' personal, non-commercial use and may not be used for any purpose other than to identify prospective properties consumers may be interested in purchasing. Information is deemed reliable but is not guaranteed accurate by the MLS or Realty Executives Mid Florida. Data last updated: 2019-04-23T10:31:52.137.